The USDAC’s Cabinet is a citizen-led, policy-oriented leadership group of recognized experts in aspects of cultural organizing, development, and policy. Cultural policy touches on support for artists and institutions, education, communications, the built environment, leisure, immigration, social inclusion and the right to heritage—and much, much more. How do economic development policies affect the cultural life of rural communities? When policymakers choose to spend large portions of our commonwealth on the world’s largest war and incarceration systems, how does that statement of national priorities affect our collective culture? Where in the cultural landscape do tax breaks and subsidies go? What cultures are valued for preservation? How do education policies affect our creativity and therefore our future? Policy statements and actions are woven through all the USDAC’s work. For two major policy-related documents, see An Act of Collective Imagination: The USDAC’s First Two Years of Action Research, September 2015; and Standing for Cultural Democracy: The USDAC’s Policy and Action Platform, November 2016. Be sure to enlist as a Citizen Artist to follow the Cabinet's members, ideas, and actions! Maribel Alvarez, Minister of Public Sentiment, is an anthropologist, folklorist, curator, and community arts expert who has documented the practice of more than a dozen of the country’s leading emerging and alternative artistic organizations. She holds a dual appointment as Associate Research Professor in the School of Anthropology and Associate Research Social Scientist at the Southwest Center, University of Arizona. She also currently serves as Executive Program Director of the Southwest Folklife Alliance. She teaches courses on methods of cultural analysis, with particular emphasis on objects, oral narratives, foodways, and visual cultures of the US-Mexico border. In the last few years, Maribel has written and published essays about poetry and food, intangible heritage, nonprofits and cultural policy, the theory of arts participation, artisans and patrimony in Mexico, and popular culture and stereotypes. Maribel was the co-founder and executive director for seven years of MACLA—Movimiento de Arte y Cultura Latino Americana—a contemporary, alternative urban arts center in San Jose, once described as a “lab for intelligent cultural interventions.” Maribel was born in Cuba and came to the United States at the age of seven; she lived in Puerto Rico for eleven years before moving to California in 1980, where she became active in the Chicano arts community and multicultural arts movement of that decade. T. Lulani Arquette, Catalyst for Native Creative Potential, is Native Hawaiian and her father’s genealogy comes from the Kameeiamoku Waipa family line on the big island of Hawaii while her mother is from the Black Hills of South Dakota. She is the President/CEO of the Native Arts and Cultures Foundation (NACF), a national nonprofit dedicated to supporting the diversity of artistic expression in American Indian, Alaska Native and Native Hawaiian communities. Under her leadership the foundation launched in 2009, and has been successfully operating for six years providing support to artists, organizations, and communities. Arquette brings over 30 years of professional experience leading organizations to their highest creativity and potential, advocating for cultural perpetuation, and catalyzing change in communities. Before joining the Foundation, Arquette worked in Hawai`i with Native Hawaiian organizations in the nonprofit, public, and private sectors including The Hawaiian Sovereignty Advisory Commission, ALU LIKE and The Hawai`i Leadership Center. Arts and cultures have always played a strong role in her personal life and professional development. She has degrees in Political Science, and Drama & Theatre from the University of Hawai`i, and has performed in stage productions, television shows, written and produced film projects. She is currently a board member for Grantmakers In the Arts, and past board service includes the National Insight Center for Community Economic Development, Hawai`i Capitol Culture District, Organization of Women Leaders and the Council for Native Hawaiian Advancement. 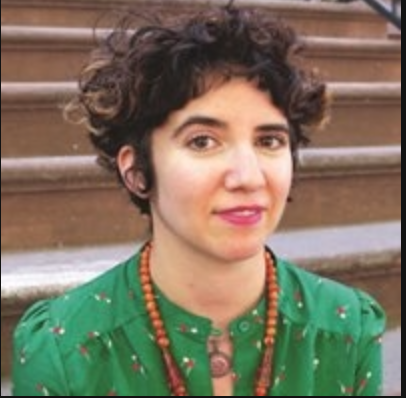 Caron Atlas, Minister of Naturally Occurring Cultural Districts, is director of the Arts & Democracy Project, which cross-fertilizes arts, culture, participatory democracy and social justice, and co-director of NOCD-NY, Naturally Occurring Cultural Districts NY, a citywide coalition. She also teaches at Pratt Institute’s Programs for Sustainable Planning and Development and Hunter College and serves on the district and steering committees for participatory budgeting in New York City. Previously she worked at Appalshop, the Appalachian media center, and was the founding director of the American Festival Project, a national alliance of activist artists. She has also worked with National Voice; Animating Democracy; Pratt Center for Community Development; Urban Institute; Network of Ensemble Theaters; New York University; and been a consultant for public and private funders. Atlas is co-editor of Bridge Conversations and Critical Perspectives, and contributor to Beyond Zuccotti Park, Toward a 21st Century City for All, and the Cultural Blueprint for New York City. Over the years she has organized festivals, international cultural exchanges, a white house briefing on art and social justice, and a wellness center at an evacuation shelter following Hurricane Sandy. Caron was a Warren Weaver Fellow at the Rockefeller Foundation and is an alumni of Coro’s Leadership New York. She received her BA and MA from the University of Chicago. Judy Baca, Minister of Sites of Public Memory, is a world-renowned painter and muralist, community arts pioneer, scholar and educator who has been teaching art in the UC system for over 28 years (15 years at UCLA Cesar E. Chavez Department of Chicana/o Studies). She was the founder of the first City of Los Angeles Mural Program in 1974, which evolved into a community arts organization known as the Social and Public Art Resource Center (SPARC) which was has been creating sites of public memory since 1976. She continues to serve as its artistic director and focuses her creative energy in the UCLA/SPARC Cesar Chavez Digital Mural Lab, employing digital technology to co-create collaborative mural designs. Daniel Banks, Catalytic Agent, is a theatre director, choreographer, educator, and dialogue facilitator. He has worked extensively in the U.S. and abroad. Daniel is the Co-Director of DNAWORKS: Dialogue and Healing through the Arts, and is the founder and director of the Hip Hop Theatre Initiative that uses Hip Hop Theatre to promote youth self-expression and leadership training. HHTI has worked on campuses and in communities across the U.S. and in Ghana, South Africa, Hungary, Azerbaijan, Israel, and Mexico. He has served on the faculties of the Department of Undergraduate Drama, Tisch School of the Arts, New York University; the MFA in Contemporary Performance at Naropa University; and the M.A. in Applied Theatre at City University of NY; and is a long-time adviser in the Gallatin School for Individualized Studies, NYU. He is currently Associate Professor and head of Performing Arts at the Institute of American Indian Arts in Santa Fe, NM. He is on the Founding Board of the Hip Hop Education Center at NYU, one of the co-directors of Theatre Without Borders, a founding member of the Acting Together project in the Program for Peacebuilding and the Arts at Brandeis University, and sits on the Editorial Board of No Passport Press. He is editor of the critical anthology Say Word! Voices from Hip Hop Theater (University of Michigan Press). Carol Bebelle (a.k.a. Akua Wambui), Secretary of Culture and WE-Making, is a native New Orleanian and a proud product of the New Orleans public school system. She received her undergraduate degree from Loyola University in sociology, and her master’s degree from Tulane University in education administration. She spent nearly 20 years in the public sector as an administrator and planner of education, social, cultural, and health programs. In 1990, Bebelle embarked on a path of independence that started with establishing Master Plan Development Associates (MPDA), a private consulting firm that offered planning, development, and grant writing services to human service programs and initiatives. By 1995, Bebelle realized that the cultural and creative heartbeat of New Orleans was an under-tapped resource on the landscape of community development. She realized that the power of culture and creativity combined could unleash progress, improvement, and economic inclusion for much of the under-represented members of the New Orleans community. Her day-to-day laboratory for this work is the Ashé Cultural Arts Center where the daily agenda is created by the intersection of culture, community and art. Bebelle is also a published poet and writer. Jack Becker, Public Art Mobilizer, is founder and executive director of Forecast Public Art, established in 1978. As a public artist and program administrator, Jack specializes in projects that connect the ideas and energies of artists with the needs and opportunities of communities. He has organized more than 70 exhibitions, 50 publications, and numerous special events. Widely published in the field, he also serves as the publisher of Public Art Review. Roberto Bedoya, Secretary of Belonging, has consistently supported art-based civic engagement projects and advocated for expanded definitions of inclusion and belonging throughout his career. As executive director of the Tucson Pima Arts Council (TPAC), he established the innovative P.L.A.C.E (People, Land, Arts, Culture and Engagement) Initiative to support artist initiatives in Tucson, Arizona. Bedoya’s tenure as executive director of the National Association of Artists’ Organizations (NAAO) from 1996 to 2001 included serving as co-plaintiff in the lawsuit Finley vs. NEA. His essays “U.S. Cultural Policy: Its Politics of Participation, Its Creative Potential” and “Creative Placemaking and the Politics of Belonging and Dis-Belonging” reframed the discussion on cultural policy to shed light on exclusionary practices in cultural policy decision making. Bedoya is also a poet, whose work has appeared in numerous publications, and an art consultant, with projects for Creative Capital Foundation, the Ford Foundation, The Rockefeller Foundation, and the Urban Institute. Ted Berger, Senior Policy Advisor, retired in 2005 as the leader of the New York Foundation for the Arts (he is now executive director emeritus). During his three decades at NYFA, Berger developed the organization’s pioneering work to increase and advance financial support and professional development opportunities for artists. Today, he is treasurer of the Joan Mitchell Foundation and executive director of NYCreates, a service organization for craft artists. His numerous community board and committee positions include work for organizations such as ArtsConnection, the Asian American Arts Alliance, the CUE Art Foundation, International Studio & Curatorial Program, the Design Trust for Public Space, the New York City Arts Coalition, and CERF+. Ludovic Blain III, Chief Political Wonk, directs the Color of Democracy Fund. His previous positions include Program Manager of the Closing the Racial Wealth Gap Initiative, National Campaign Coordinator for the Equal Voice for America's Families Campaign and Associate Director of the Democracy Program at Demos. He has led campaigns inserting racial justice into the fields of voting rights, environmental, communications, campaign finance, and a variety of other fields. 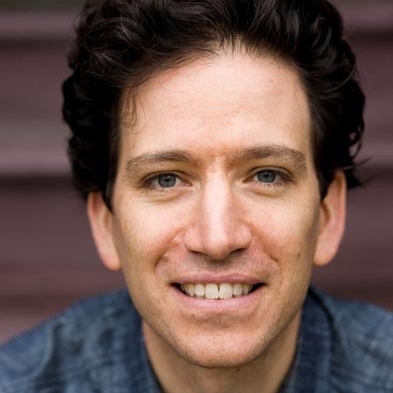 Eric Booth, Secretary of Teaching Artists, began his career as an actor, then taught at Juilliard (13 years), Stanford University, NYU, Tanglewood and Lincoln Center Institute (for 26 years), and The Kennedy Center (14 years). He is widely referred to as one of the nation’s most creative teachers and as the father of the teaching artist profession, and this is one of many topics he consults on. He is a senior advisor to the movement developing El Sistema-inspired sites around the U.S. and world. He has had five books published. The Everyday Work of Art won three awards and was a Book of the Month Club selection. He has written three dozen magazine articles, was the Founding Editor of the Teaching Artist Journal, and his latest book The Music Teaching Artist’s Bible was published by Oxford University Press in 2009. Amelia Brown, Minister of Emergency Arts, is a writer, speaker, artist and consultant with more than 20 years of community development experience spanning four continents. She earned a self-designed master's degree from the University of Minnesota integrating arts, emergency management, and community development. She has recently written a series of articles focused on crisis and creativity featured on Springboard for the Arts Creative Exchange, presented the role of arts in disaster recovery at the 2015 International Award for Public Art, Cities of Climate Change Conference in Auckland, New Zealand, and coordinated commemoration events for the 10th Anniversary of Hurricane Katrina in New Orleans, Louisiana. She is the founder of Emergency Arts, a central resource dedicated to building a cross-sector network, strengthening community resilience, and advancing arts as integral to emergency management. 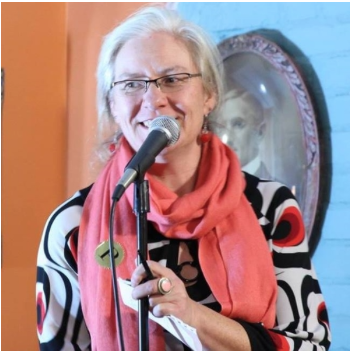 Sarah Browning, Minister of Poetry and Public Life, is co-founder and Executive Director of Split This Rock: Poetry of Provocation & Witness and an Associate Fellow of the Institute for Policy Studies. Author of Whiskey in the Garden of Eden (The Word Works, 2007), now in its second printing, and coeditor of D.C. Poets Against the War: An Anthology (Argonne House Press, 2004), she is the recipient of artist fellowships from the DC Commission on the Arts & Humanities, a Creative Communities Initiative grant, and the People Before Profits Poetry Prize. In March, 2014 Browning co-edited a special Split This Rock issue of POETRY Magazine with Don Share. She co-host the Sunday Kind of Love poetry series at Busboys and Poets in Washington, DC, now in its ninth year. She previously worked supporting socially engaged women artists with WomenArts and developing creative writing workshops with low-income women and youth with Amherst Writers & Artists. She has been a community organizer in Boston public housing and a grassroots political organizer on a host of social and political issues. 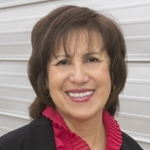 María López De León, Minister of Inclusive Leadership Transformation, is the Executive Director and board member of the National Association of Latino Arts and Cultures (NALAC). In January 2013, President Obama appointed Ms. De León to serve on the National Council on the Arts. In 2012, Ms. De León was named among the nation’s 2012 Fifty Most Powerful and Influential People in the Nonprofit Arts. Ms. De León has over twenty years of multifaceted experience working with community-based organizations across the country. She serves on multiple arts and culture policy panels and is a noted speaker and advocate for arts and cultural equity. She serves on the board of the First People's Fund, the Performing Arts Alliance and is an advisory council member of San Anto Cultural Arts and Women of Color in the Arts. She is a fellow of the Rockwood Leadership Institute. She studied Journalism at the University of Texas at El Paso. Under her leadership, NALAC developed and launched three grant programs, the NALAC Fund for the Arts (NFA), a grant program for Latino artists and organizations; the Transnational Cultural Remittances (TCR), a grant program for artists and organizations in the U.S., Mexico and Central America; the NALAC Diverse Arts Spaces program, a grant program that supports organizations that are part of the Ford Foundation’s Diverse Art Spaces to expand their Latino programming to diverse audiences and outreach to diverse communities. She has directed the continued development of fifteen editions of the renowned annual Leadership Institute and the Latino Arts Advocacy Institute in Washington, DC; directed the convening of five national arts and cultural conferences and dozens of regional arts training workshops across the country. Under Ms. De León’s leadership, NALAC completed production of Visiones, a six part documentary series on Latino art and culture for PBS and development of accompanying education curriculum distributed to over 35,000 schools. Martha Diaz, Minister of Hip-Hop Education, is the founder of the Hip-Hop Education Center. She’s an award-winning community organizer, social entrepreneur, media producer, archivist, curator, and professor at New York University. For two decades, Diaz has traversed between the hip-hop entertainment industry, non-profit sector and academia. She has worked on Hollywood productions, and produced TV shows, documentaries, music videos, and PSAs. Diaz served as the executive director of the Hip-Hop Association, where she produced and curated the Hip-Hop Odyssey International Film Festival and Hip-Hop Education Summit. In 2010, Diaz founded the Hip-Hop Education Center, housed at NYU's Metropolitan Center for Research on Equity and the Transformation of Schools, to cultivate and professionalize the field of hip-hop-based education. She is co-editor of the Hip-Hop Education Guidebook, Vol. I (Hip-Hop Association, 2007) and Rebel Music: Resistance Through Hip Hop and Punk (Information Age Publishing, 2015). Among her fellowships and residencies, Diaz served as resident of NJ Performing Arts Center’s Alternate Routes Program, Fellow at NYU Reynolds Program for Social Entrepreneurship, Senior Fellow at the Lemelson Center for the Study of Invention and Innovation-National Museum of American History, and Hip-Hop Scholar at the Schomburg Center for Research in Black Culture-NY Public Library. In 2014, Diaz was appointed as Columbia University Community Scholar, where she collaborates with the Institute for Urban and Minority Education and the Center for Justice. Her most recent media project is the award winning NAS: Time Is Illmatic documentary. Dana Edell, Secretary of Creative Sparks, is an activist-scholar-artist and the executive director of SPARK Movement, an intergenerational girls’ activist organization that trains, supports and collaborates with a team of 30 girls (ages 13-22, from 12 US states & 5 countries) to launch creative and successful activist campaigns and foster a global movement of young feminists. She was also the co-founder/executive director of viBe Theater Experience, from 2002-2012 where she produced more than 60 original plays, 7 CDs of new music, 4 radio episodes, 8 music videos and 8 arts-based resource guidebooks, all written and performed by girls. Through her writing, presentations and media appearances, she advocates for girls’ activism and both the need and the danger of performing arts experiences in the lives of urban girls. Dana teaches Educational Theatre at NYU and Applied Theatre at CUNY, is a member of the editorial board of Public: A Journal of Imagining America and the Chair of the Girls’ Participation Task Force of the Working Group on Girls at the United Nations. She has a BA with honors in Classics/Ancient Greek from Brown, an MFA in Theatre Directing from Columbia and a PhD in Educational Theatre from NYU. Barry Hessenius, Minister of Nonprofit Arts Organizations, is an author, consultant and public speaker, Barry Hessenius published Hardball Lobbying for Nonprofits in 2007 (Macmillan & Company, New York). He has been conducting seminars and workshops for nonprofit organizations on the topic of Advocacy and Lobbying, developed a mini-course curriculum in public policy, advocacy and lobbying for university nonprofit and business school degree programs, and has been a panelist and keynote speaker on the topic at nonprofit conferences and meetings. He also conducted a two phase study with reports released in 2007 and 2009 for the William & Flora Hewlett Foundation on the issue of youth involvement and generational management & succession in the arts, and has developed a workshop training module for managing the generations in the workplace. He is the author of Barry’s Blog—“news, advice and opinion for arts administrators”—hosted by the Western States Arts Foundation, with a 10,000-subscriber base. Bob Holman, Minister of Poetry and Language Protection, is a Poet and arts activist. Bob Holman is a native New Yorker from Harlan, Kentucky. A central figure in the New York City spoken-word poetry community, Holman found his way to arts activism at the CETA Artist Project in NYC, the largest federally-funded artist job program since the WPA. He founded the Bowery Poetry Club in 2002, served as slammaster at the Nuyorican Poets Cafe from 1988 to 1996, and coordinated the St. Mark’s Poetry Project from 1977 to 1984. His most recent poetry collection, Sing This One Back To Me (Coffee House), includes translations of his griot/teacher, Alhaji Papa Susso. He co-founded the Endangered Language Alliance in 2010, and is deeply engaged in language revitalization: Language Matters with Bob Holman, a two-hour journey to Australia, Wales and Hawaii, was broadcast on PBS and was awarded Documentary of the Year at the Berkeley Video Film Festival. He has taught poetry and performance at The New School, Bard, NYU, Columbia, and Princeton and produced the PBS series The United States of Poetry. The POEMobile, a traveling, multilingual, poetry road show is currently on the go, a project he started with fellow cabinet member Steve Zeitlin of City Lore. James Kass, Secretary of Belief in The Next Generation, is an award-winning writer, educator, producer and media maker. He is also the Founder & Executive Director of Youth Speaks, and is widely credited with helping to launch the youth spoken word movement, working with tens of thousands of young people from across the country—and helping launch over 50 programs nationwide—to help them find, develop, publicly present, and apply their voices as leaders of societal change. Creator and Co-Executive Producer of the 7-part HBO series Brave New Voices and the Peabody-nominated HBO’s Brave New Voices 2010, James also created the concept and served as the Artistic Director of the PBS series Poetic License, created the Brave New Voices International Youth Poetry Slam Festival, serves as Executive Editor of First Word Press, and was, among many other things, a founding member of the San Francisco Poet Laureate Selection Committee, and helped launch the SF and Oakland Youth Laureate Programs. James has received several awards for his writing, his work in the nonprofit sector, and his work as an educator. Widely published, James recently curated the poetry for the first ever White House Poetry Jam, performing in front of the First Family, and was invited to be one of the first 35 people to meet the administration’s arts action team. In May of 2010, James was the Commencement Speaker at the University of Wisconsin-Madison, speaking to over 60,000 graduates and friends. James has spoken on numerous panels, including at TEDx Silicon Valley, TEDx Presidio, The New Progressive Coalition, the Commonwealth Club of San Francisco, the Social Venture Network, Changemakers, Hip Hop Activism, the Open Society Institute, and Grantmakers in the Arts, and has published numerous articles on youth, poetry, spoken word, and education. James has also edited a number of books, and has had much of his own fiction and poetry published, while producing a number of nationally touring theater pieces and collaborating with choreographers Robert Moses and Sara Shelton Mann to stage his own writing through dance. He’s lectured and taught at numerous colleges, including San Francisco State University, Stanford, and University of San Francisco, and presented at NCORE (National Conference on Race and Ethnicity). Through his work with Youth Speaks, he has raised over 20 million dollars toward the development of a national movement of brave new voices bringing the noise from the margin to the core. Paul Kuttner, Minister of Cultural Scholarship is an educator and researcher, focused on community-based, culturally-rooted approaches to education and social change. Currently a Postdoctoral Fellow in Critical Communications Pedagogy at the University of Utah, Paul’s work covers a range of topics including community and youth organizing, cultural organizing, arts education, hip-hop activism, and culturally sustaining pedagogy. Paul is a qualitative researcher and ethnographer, committed to rigorous, critical scholarship that is conducted in partnership with youth and communities. Paul received his doctorate from the Harvard Graduate School of Education, prior to which he worked as a teaching artist in communities and schools across Chicago. Paul is a co-author of A Match on Dry Grass: Community Organizing as a Catalyst for School Reform (Oxford, 2011), a co-editor of Disrupting the School-to-Prison Pipeline (HER, 2012), and a contributing editor to Beautiful Trouble: A Toolbox for Revolution. Paul blogs at CulturalOrganizing.org. 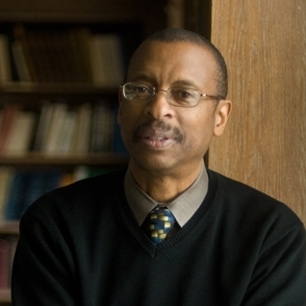 E. Ethelbert Miller, Minister of Sacred Words, is a literary activist. He is the board chairperson of the Institute for Policy Studies (IPS). He is a board member of The Writer's Center and editor of Poet Lore magazine. Since 1974, he has been the director of the African American Resource Center at Howard University. Mr. Miller is the former chair of the Humanities Council of Washington, D.C. and a former core faculty member of the Bennington Writing Seminars at Bennington College. His many books include Fathering Words: The Making of An African American Writer (2000), Buddha Weeping In Winter (2001), How We Sleep On The Nights We Don’t Make Love (2004), and The 5th Inning (2009). 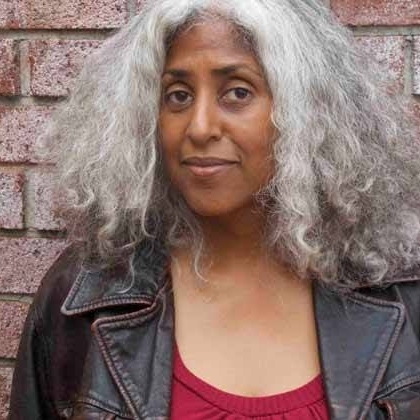 Meena Natarajan, Radical Equity Catalyst, Pangaea Division, is the Executive and Literary Director of Pangea World Theater in Minneapolis and a professional playwright. She is committed to creating an international ensemble of actors, writers and designers in Pangea and bringing exciting classical and contemporary literature from all over the world to the Twin Cities. She was instrumental in founding and leading a theater company in India. As a playwright, her scripts have been professionally produced in India and the United States. She has created, written and performed in mainstage and street theater pieces in India raising issues such as social injustice, corruption and dowry deaths. She has received a Many Voices Cultural Collaboration Grant from the Playwrights Center in Minneapolis, and several Minnesota State Arts Board grants. She received a TCG Extended Collaboration grant to work on a new play about the experience of migrations during partition. 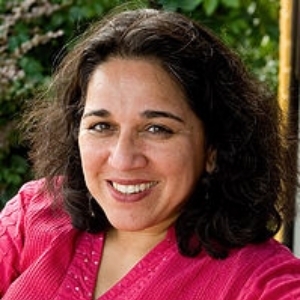 Meena is the past President of Women Playwrights International, an organization that promotes the work of women playwrights all over the world. She serves on the Board of Directors of the Network of Ensemble Theaters and of the Consortium of Asian American Theater Board, Art2Action and the Harmattan Theater. She is a member of the Immigrant Refugee and Battered Women’s Task Force, Twin Cities. Lori Pourier, Root-Tender of Culture-Bearers, is an enrolled member of the Oglala Lakota Nation in southwestern South Dakota. She has served as the President of First Peoples Fund in Rapid City, SD, since 1999. She has nearly 30 years of experience in community economic development with a specific emphasis on native arts and culture revitalization within tribal communities. Between 1994 and 1998, Ms. Pourier served as the Executive Director of the Indigenous Women’s Network (IWN), a U.S. based nongovernmental organization. While at IWN she was responsible for fundraising, operations and the political action work of the organization. She represented IWN at numerous international conferences at the United Nations as well as the Fourth World Conference on Women in Beijing, China. During her tenure at IWN, Ms. Pourier established a leadership program placing young emerging leaders in non-profit organizations throughout Indian Country and within regional and national foundations. Ms. Pourier served on several boards; Grantmakers in the Arts, Native Americans in Philanthropy, Honor the Earth Fund, the Chinook Fund. She was awarded Native Americans in Philanthropy’s 2013 Louis T. Delgado Distinguished Grantmaker Award in recognition of her work in philanthropy. In addition she was awarded the Women’s World Summit Foundation’s 2013 award for Women’s Creativity in Rural Life. She holds a Master of Science degree from New Hampshire College’s Graduate School of Business. Nominated by the Ford Foundation, Ms. Pourier was selected for the Center for Social Innovation fellowship at the Stanford Graduate School of Business, a partnership between Stanford University and National Arts Strategies. Martha Richards, Chief Strategist for Women Artists, is the Founder and Executive Director of WomenArts, formerly known as The Fund for Women Artists. Prior to WomenArts, Richards served as Executive Director of Brooklyn Center for the Performing Arts at Brooklyn College and as Managing Director of StageWest, a regional theatre in Springfield, Massachusetts. She writes and lectures frequently on arts and cultural policy issues. Richards has been frequently recognized for her commitment to women and to the arts. In April 2006 she was one of three U.S. nominees (with Quincy Jones and Wynton Marsalis) for the prestigious international Montblanc De La Culture Award for outstanding service to the arts. In April 2009 she was inducted into the BayPath College 21st Century Women Business Leaders Hall of Fame for her work in philanthropy. She has been honored as one of three “founding mothers” of the Women’s Fund of Western Massachusetts. Favianna Rodriguez, Secretary of Cultural Equity, is an interdisciplinary artist, cultural organizer, and political activist based in Oakland, California. In 2013, Rodriguez co- founded CultureStrike, a network of cultural workers that call for migrant rights by creating positive narratives around migration. Recently, she created a new documentary series titled Migration Is Beautiful, which addresses the immigration debate in the United States and redefines what it means to be an immigrant in America. Known for her vibrant prints and multicolored posters, Rodriguez uses both personal artwork and collaborative projects to tackle themes like migration, economic injustice, and patriarchy. Rodriguez lectures globally on the power of art, cultural organizing, and technology to inspire social change, and leads art workshops at schools across the U.S. Rodriguez has fought for gender equality, examined the impact of environmental destruction, and been an advocate for undocumented immigrants in the U.S.
Sebastian Ruth, Secretary of Music and Society, is the Founder & Artistic Director of Community MusicWorks, a nationally-recognized organization that works to build civil society in the United States by creating new roles for musicians to positively influence American cities. Since 1997, Community MusicWorks has engaged musicians, youth and families, and audience members in education, performance, community-building and dialogue experiences aimed at individual and community transformation. Sebastian’s mentors have included American philosophers Maxine Greene, Ted Sizer, and Reginald Archambault, and musicians Eric Rosenblith, Rolfe Sokol, and Kim Kashkashian. As a violinist and violist, Sebastian has been a member of the Providence String Quartet, the Boston Philharmonic, and the Wild Ginger Philharmonic, and performs chamber music from Bach to twenty-first century composers as part of the Community MusicWorks Players. Recent musical collaborations have included concerts with Kronos, Orion, Miro, and Borromeo Quartets, pianists Jonathan Biss and Andrius Zlabys, and violinist Johnny Gandelsman. Sebastian has been honored with a visit to the White House to receive the National Arts and Humanities Youth Program Award from First Lady Michele Obama, an honorary doctorate from Brown University, and the 2010 MacArthur Foundation Fellowship for “creating rewarding musical experiences for often-forgotten populations and forging a new, multifaceted role beyond the concert hall for the twenty-first-century musician.” Since 2013, Sebastian has served as visiting lecturer at the Yale School of Music. Shirley Sneve, Tribal Liaison, is the Executive Director of Vision Maker Media, whose mission is to share Native stories with the world that represent the cultures, experiences, and values of American Indians and Alaska Natives. An enrolled member of the Rosebud Sioux Tribe in South Dakota, she has been in Nebraska for eight years. She has served as director of Arts Extension Service in Amherst, MA, and the Washington Pavilion of Arts and Science’s Visual Arts Center in Sioux Falls, SD. She was a founder of Northern Plains Tribal Arts Show, the Oyate Trail cultural tourism byway, and the Alliance of Tribal Tourism Advocates. She started her career as a producer for South Dakota Public Broadcasting. She serves on the boards of The Association of American Cultures and the Arts Extension Institute. Shirley is also a consultant with Creative Community Builders. 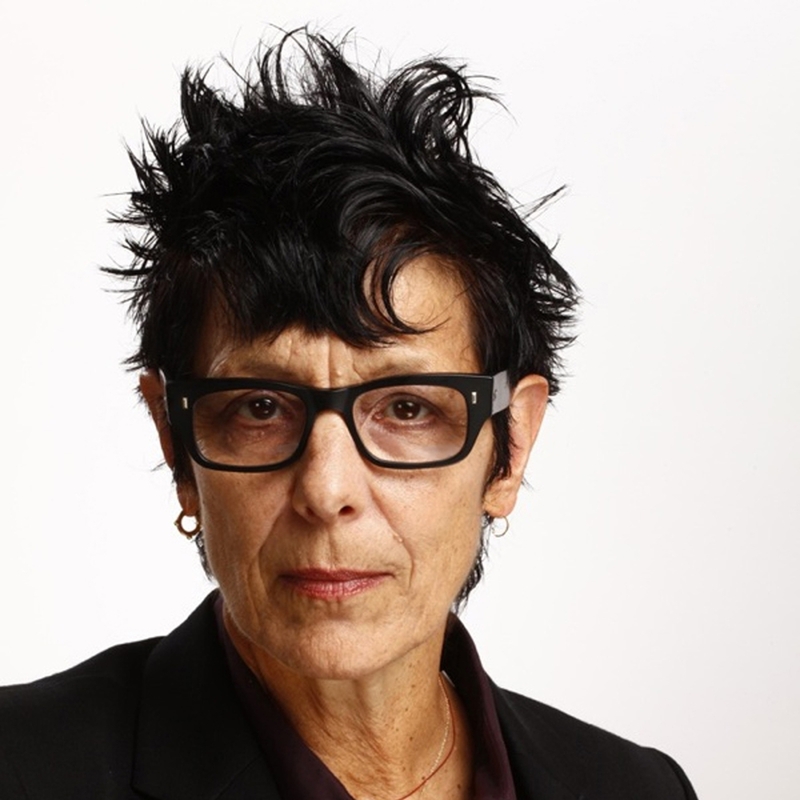 Elizabeth Streb, Action Architect, is a recipient of the John D. and Catherine T. MacArthur Foundation 'Genius' Award (1997) and a member of the New York City Mayor's Cultural Affairs Advisory Commission. Streb is also a member of the board of the Jerome Foundation and a member of the Atlantic Center for the Arts National Council. She holds a Master of Arts in Humanities and Social Thought from New York University, a B.S. in Modern Dance from SUNY Brockport and two honorary doctorates (SUNY Brockport and Rhode Island College). She is the recipient of numerous other awards and fellowships including the Guggenheim Fellowship in 1987; a Brandeis Creative Arts Award in 1991; two New York Dance and Performance Awards (Bessie Awards), in 1988 and 1999 for her "sustained investigation of movement"; a Doris Duke Artist Award in 2013; and over 30 years of on-going support from the National Endowment for the Arts (NEA). In 2010, Feminist Press published her book, STREB: How to Become an Extreme Action Hero. Jack Tchen, Secretary of Curiosities, is a facilitator, teacher, historian, curator, re-organizer, and dumpster diver. He works on understanding the multiple presents, pasts, the futures of New York City. He also works on decolonizing Eurocentric ideas, theories, and practices and making our cultural organizations and institutions more representative and democratic. Professor Tchen is the founding director of the A/P/A (Asian/Pacific/American) Studies Program and Institute at New York University and part of the original founding faculty of the Department of Social and Cultural Analysis, NYU. He co-founded the Museum of Chinese in America in 1979-80 where he continues to serve as senior historian. Jack was awarded the Charles S. Frankel Prize from the National Endowment for the Humanities (renamed The National Medal of Humanities). He is author of the award-winning books New York before Chinatown: Orientalism and the Shaping of American Culture, 1776-1882 and Genthe's Photographs of San Francisco's Old Chinatown, 1895-1905. His most recent book is Yellow Peril! An Archive of Anti-Asian Fear, co-authored and edited with Dylan Yeats. His most recent exhibit is "Haunted Files: The Eugenics Record Office." Currently, he is working on the "Below the Grid" Project. Makani Themba, Minister of Revolutionary Imagination, is the principal of Higher Ground Change Strategies, and the former executive director of The Praxis Project, a nonprofit organization helping communities use media and policy advocacy to advance health justice. Under her leadership, The Praxis Project has raised more than $20 million for advocacy organizations working in communities of color nationwide. These initiatives include Communities Creating Healthy Environments (C-CHE), an initiative of the Robert Wood Johnson Foundation to support policy advocacy to advance healthy food outlets and safe places to play in communities of color and Building Capacity Building Power, a partnership with Ford Foundation to support grassroots civic engagement. She is author of Making Policy, Making Change, and co-author of Media Advocacy and Public Health: Power for Prevention, a contributor to the volumes Community Based Participatory Research for Health, Prevention is Primary: Strategies for Community well Being, and We the Media along with many other edited book projects. Mark Valdez, Minister of Ensemble Creativity, is the National Coordinator for the Network of Ensemble Theaters. Prior to joining NET, he worked as a director and educator based in Los Angeles. For five years, he served as the Associate Artistic Director for Cornerstone Theater Company, an ensemble based company located in Los Angeles. For Cornerstone, Mark produced many of the company's productions and festivals, as well as directed the first ever approved adaptation of the Kaufman and Hart classic, You Can't Take It With You, adapted to LA's Muslim community. Mark has directed at such theaters as Mixed Blood in Minneapolis, Teatro Vision in San Jose and in Los Angeles for The Rogue Artist's, East West Players' David Henry Hwang Institute and the Ricardo Montalban Theater. He has led workshops and participated in panels for TCG, Lincoln Center, Southwest Arts Conference, Leadership for a Changing World, REDCAT, NYU, The New School, ATHE, NEA and the Ford Foundation. He is the recipient of Princess Grace Foundation Awards for Directing and a Special Project Grant. Mark received an MFA in Directing from UC Irvine. Lily Yeh, Urban Alchemist, her artistic practice brought her to Philadelphia, but the promise and beauty of a forgotten community formed the basis of her continued involvement with the city. Over eighteen years, she helped grow The Village of the Arts and Humanities in North Philadelphia into a multifaceted organization that transformed its blighted neighbourhood into a vital place of unique beauty. She demonstrated that creating art empowers people and makes the invisible visible. After her tenure at The Village, Lily started Barefoot Artists, a non-profit that brings the transformative power of art to the most impoverished communities in the world through participatory and multifaceted projects that foster community empowerment, improve the physical environment, promote economic development, and preserve and promote indigenous art and culture. Steve Zeitlin, Minister of Art in Everyday Life, is the director and cofounder of City Lore, an organization dedicated to the preservation of New York City's—and America's—living cultural heritage. Prior to arriving in New York, he served for eight years as a folklorist at the Smithsonian Institution in Washington, D.C. He has taught at George Washington University, American University, NYU, and Cooper Union. He has been a regular commentator for the nationally syndicated radio shows, Crossroads and Artbeat, and currently develops segments on "The Poetry of Everyday Life" for The Next Big Thing, heard on National Public Radio. His commentaries have appeared on the Op Ed pages of the New York Times and Newsday. He also coproduces the storytelling series "American Talkers" for NPR's Weekend Edition Sunday and Morning Edition. Steve is the author and coauthor of a number of award winning books on America's folk culture including Because God Loves Stories: An Anthology of Jewish Storytelling (Simon & Schuster, 1997); and Giving a Voice to Sorrow: Personal Responses to Death and Mourning (Penguin-Putnam, 2001). His children's books include, among others, Cow of No Color: Riddle Stories and Justice Tales from World Traditions (Henry Holt, l998); and a book on world cosmologies, The Four Corners of the Sky (Henry Holt, 2000).